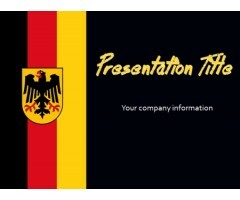 The free Germany PowerPoint Template has a black background image with German flag that makes it look very beautiful. The template is suitable for any presentation about Germany. Download Template ..